Increasingly, designers want to get rid of tables, and use only CSS for their layout designs. But starting down this path can be daunting. So Style Master features a multicolumn layout wizard to get you started. 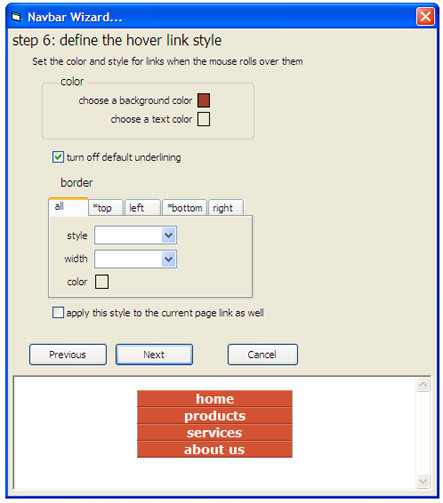 Use it to create one, two and three column layouts, with or without headers and footers, along with colors and styles for the text in various parts of your page. Like all our wizards, the layout wizard produces standards compliant, clean CSS and HTML, ready for you to continue styling. Our other wizards let you create all the code for a particular design element, effect, or even a whole site, without having to think focus on the implementation details. At the end of a few easy steps you'll have all the code you need ready to be applied as is, or used as the basis for your own designs. They're essential if you're new to CSS, and they're such a great way to work quickly without having to worry about the actual code that even highly experienced developers use them time and again to get started with a design.